A Pocket purse or bag can be easily sewn and decorated. 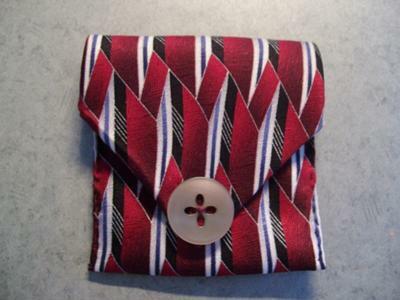 Embellish or design your own pocket purse or bag. Cut out two pockets from old shirts. Try a thrift store if you don't have any available at your house. Pin your pockets together. Sew the two pockets together around the sides and bottom. Use ribbon, beads, belts or whatever you may have available for a strap. Attach the strap by hand sewing in place. Decorate by gluing on something decorative if desired. **Heavier material or jeans will be hard to sew because of their thickness so try lighter weight material for this project. Old clothes with pockets can be cut out and saved for projects such as this. Also try making pencil holders out of jean pockets. These require no sewing. Attach magnet strips to the back and omit the strap. Then hang on the fridge or school lockers. Use your imagination to decorate. Another fun idea for a small coin bag or purse! 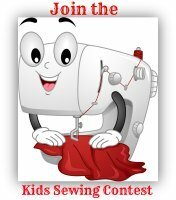 This is a simple project for kids which will result in a super cute gift to give Dad or any special man for Father's Day. Just pick a man's tie (you can find them at thrift stores) and measure up about 11" from the tip of the large end. Cut off and then turn raw edge in. Sew this closed. Fold this end up so it comes right below the "V" of the large end and sew your sides closed. Take one half of a snap and sew one end under the tip on the top. Sew other half on the front of the pocket but be sure not to sew through to the back. 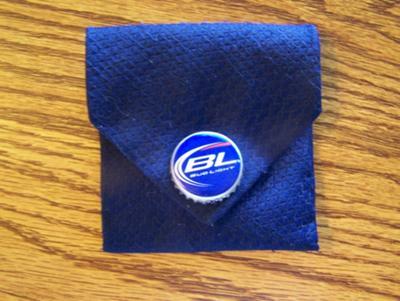 Sew a button on the front or use something else, such as a coin or bottle cap. You can glue these type of things on. Now Dad has a place to keep his coins and because it's nice and slim, it fits well in any pocket. 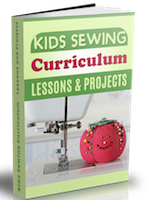 Back to kids sewing projects from Pocket purse.